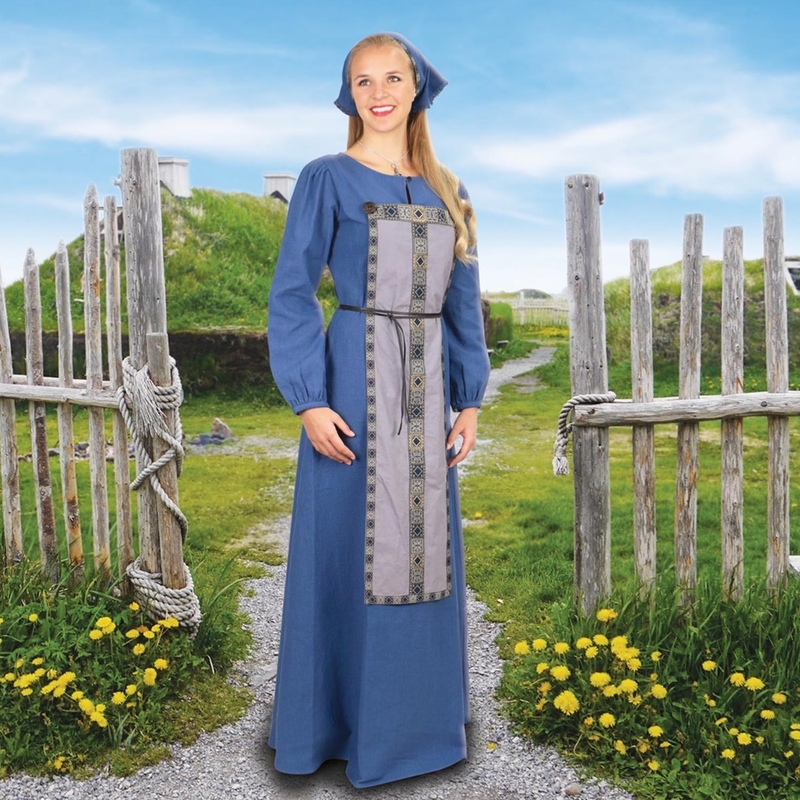 This traditional Viking dress is a real eye-catcher. 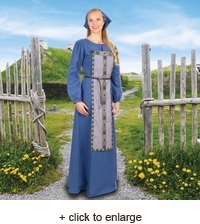 Made of a lightweight, dusty blue cotton twill fabric, it has a lace-up back with matching blue ribbon and wooden buttons at the wrists and neckline. The soft grey placard in the front has a Viking trim around the edges and center. 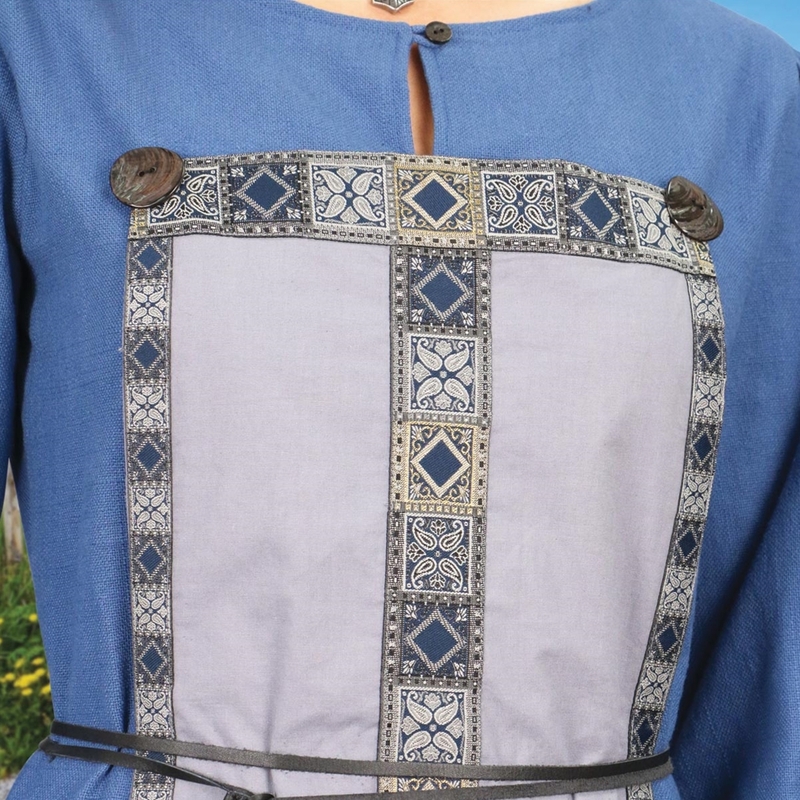 Two hand-carved wooded buttons decorate the front. Comes with a leather cord for belt. Order S, M, L or XL. Triangular scarf available separately.